Recruiting for Marketing, Media, Public Relations and Sales folks in the Los Angeles area is an interesting animal that you have to stay on top of. 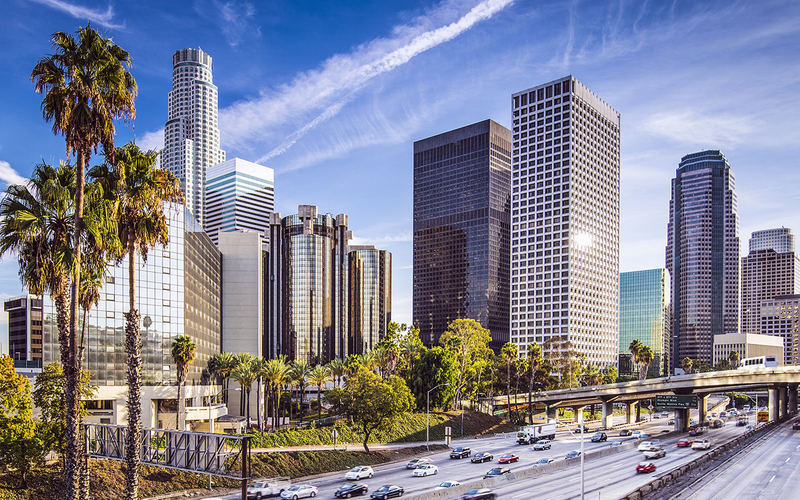 As one of the largest cities in the country, Los Angeles is a very competitive market, especially when you’re looking for high-quality candidates. Particularly in the marketing, media, PR and sales space that we’re talking about, you really want to figure out how to be ahead of your competition. Being able to find the right talent can make or break a company. You owe it to yourself to do everything you can to compete and win! At Aldebaran, we have experience in the Los Angeles market and we’re going to share what we’ve learned as a Los Angeles recruiting agency. Especially if you’re an ad agency in an area like Santa Monica, you’re going to deal with having a lot of competition very close to you. Even more so if you’re doing marketing, sales or media in any of the entertainment industries or verticals, there’s going to be a lot of competition. Who are your competitors you like? What about the ones you don’t like? Knowing who to poach from and who to avoid can help narrow the field when hunting for talent. Of course, keep your ear to the ground about companies that lose a big account or do downsizing. If you can be first to get to people in this companies, they may be easier to steal away. This is also where a Los Angeles recruiting agency can help you. With the proper industry contacts, they’ll be able to scoop up talent before news reaches your competitor’s ears. Being able to differentiate yourself from your competition is key if you want to have a competitive edge. You really want to be able to stand out to your potential candidates. From a talent acquisition perspective, there are many ways to have a well-defined culture that is attractive to potential hires. Remember you get what you pay for, so offering good benefits and competitive salary in a market like Los Angeles is certainly one of the necessities. A strong employee brand that communicates who you are to potential employees is key. You must hire for culture. In order to do so, you must HAVE a culture! Another thing that you’re going to have to consider if you’re interested in having top talent is to find a way to head home and poach from your competition. The company is only as good as its talent, so you want to have the best talent in order to be producing the best results for you and your team. You can either hire internal recruiting staff to proactively head hunt for you, or partner with a recruiting firm like us to do that work on your behalf. The days of posting on job boards and praying for good people are almost at an end. Also, Los Angeles obviously has Orange County and San Diego right to its south. These are two smaller markets with large amounts of quality marketing, media, public relations and sales talent. Another way to be competitive in a Los Angeles company is to be open to candidates from those nearby markets. You can consider relocating candidates, providing opportunities that are remote or flex work schedules. You’re able to tap into more talent in an easier way when you’re able to offer remote or partial remote work. This is a big bonus for potential candidates, especially with the gnarly traffic in Los Angeles and in Southern California in general. If you can find a way to tap into Orange County and San Diego and offer those people remote opportunities then you’ve widened your town pool significantly! There are a lot of really talented, top producing people and competition in Los Angeles. It’s definitely not enough to do the bare minimum or even a little bit more than the minimum to get good talent. Smart and progressive companies are going above and beyond to define their cultures and to find other ways to attract top talent. The bottom line is that you’re in a competitive market and it’s critical that you find ways to differentiate and distinguish yourself from your competition. A Los Angeles recruiting agency can help with this process. They’ll be able to help find qualified candidates for top-level positions and bring the talent to you. If you’d like to learn more about Aldebaran and our recruiting services in Los Angeles, visit our contact page.